Sharon J. Koch, 71 of Winona, passed away Thursday, April 12, 2018, surrounded by her beloved family, at Mayo Clinic, St. Mary’s Campus, Rochester, MN. Sharon Jean was born April 15, 1946 in Winona to Andrew and Elizabeth (Irmscher) Lettner. She graduated from Cotter High School, Winona. On June 10, 1967, she married James Robert Koch at St. Mary’s Catholic Church, Winona and they had three children: Anthony, Stephanie and Heidi. He preceded her in death August 1978. 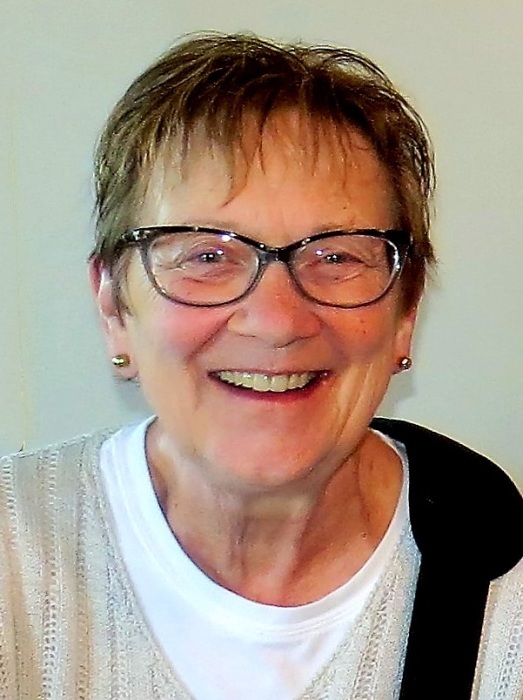 Sharon was a lifelong area resident and worked for Winona County Public Health Department where over the years enjoyed life-long friendships with her fellow co-workers. She retired June 2013. She enjoyed reading, shopping, spending time with family, crocheting, Netflix and popcorn. Sharon loved to be on the go! Even with the added weight of her LVAD, which she called Herb. We would like to offer our heartfelt thanks to all the members of the hospital staff at St. Mary’s who made the last months of our mother’s days comfortable. We feel better knowing her last months were full of the best possible care. The kindness of all the nurses, LVAD team, and Palliative Care team to my mother and her family is something we will always treasure. She is survived by her three children: Anthony (Tanya) Koch, Lewiston, MN; Stephanie (Troy) Janka, Owatonna, MN; and Heidi (Dan) Martinson, Medina, MN; eight grandchildren: Mollie, Maysie, Camryn, Paige, Libby, Noah, Jack and Ella; a brother David Lettner, Milwaukee, WI; three sisters: Mary (Greg) Bambenek, Winona; Pat Muldrow, Rochester, MN; and Liz (Paul) Kimoni, Champlin, MN; a sister-in-law Cindi Lettner, Winona; nieces, nephews and other relatives. She was preceded in death by her parents, husband, and a brother John Lettner. Services to remember Sharon will be 3 p.m. Saturday, April 28, 2018 at Fawcett Junker Funeral Home, Winona, MN. Interment will be at St. Mary’s Cemetery, Winona. Visitation will begin at 2 p.m. Saturday at the funeral home.